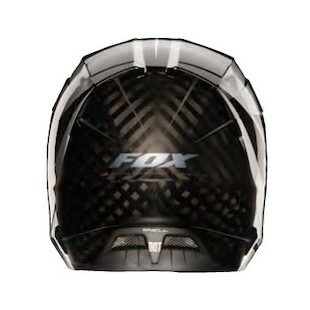 The developers at Fox have been working diligently to create a much more evolved version of their V3 Helmet with the new Fox V4 Helmet. The goal behind creating the V4 was making a helmet that didn't just outperform all other premium dirt helmets, but also one that was able to go head to head with some of the best helmets on the market. I have to say they did just that! 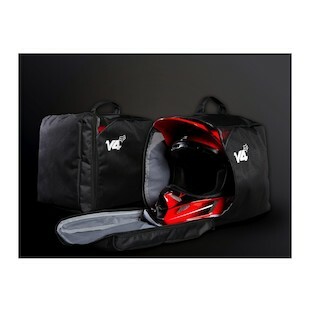 The V4 offers some great features that provide comfort, protection, and style for any rider. 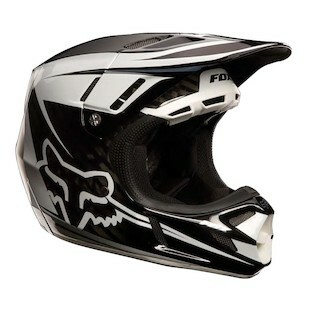 Designed and developed completely by Fox engineers in California, the V4 has a brand new layout from its predecessor. Some of the most notable features are its removable single mouthguard, the integrated roost guard, and the screened off intake and exhaust ports that allow cool air to enter the helmet, but keep unwanted material such as mud out. Starting with the shell, one of the biggest changes Fox made from the V3 to the V4 is now the helmet is completely constructed out of carbon fiber where the V3 was a composite made of fiberglass and carbon fiber. This allows the V4 to be significantly lighter, but doesn't sacrifice protection. Carbon fiber helmets are some of the lightest helmets on the market that still meet or exceed the necessary safety standards. What makes carbon fiber helmets so safe is that they are able to better absorb forces of impact than most other helmet material while the fiber weave design makes it less likely for objects to penetrate through the shell. Another highlight of the V4 is the use of dual density EPS liner, which has a dense outside, but soft interior for excellent impact protection. A true triumph for this helmet is how it not only meets, but exceeds the Shell 2012 & DOT standards giving it the prestige it deserves. One of the other most notable improvements Fox made to the shell of the V4 is that it comes in four different sizes as opposed to only two in the V3. The shell is available in XS/SM, MD, LG, and XL/XXL. The liner and cheek pad thickness is the same for the SM-XL. Liners are specific to EPS sizes and cheek pads are interchangeable throughout all the sizes. All the size changes happen with the EPS and shell grading. With all these options, the designers at Fox really made sure to give the V4 the ability to get a precise fit for every head size. The V4 has a luxury interior that provides comfort and keeps the rider cool and dry. With a DRY LEX comfort liner installed, the helmet provides a comfortable feel against the skin that also wicks away any moisture or sweat. It has a new cheek pad design that wraps below the jaw line to create a tight and secure fit that molds to the rider's face while still providing comfort. All of the guts are fully removable and washable. Above all else, the V4 is designed to keep the rider cool under any circumstances from a light ride to competitive racing. It's equipped with 16 intake and 8 exhaust ports that are designed to circulate an impressive amount of airflow throughout the helmet. This is one of the first features that riders will notice right off the bat. Air is able to flow across the rider's face even at low speeds. 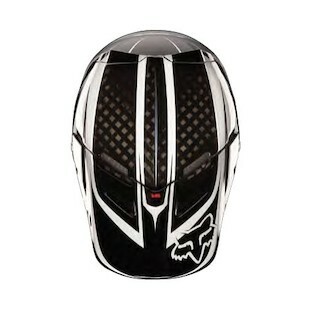 Also, 4 large brow/goggle intake ports pull air in and over the face keeping the rider cool and the visor from fogging up. The channeled EPS liner works in unison with the large channels built into the shell. With all these features working together, the venting system on the Fox V4 is one of the most impressive cooling systems that we've seen on a dirt helmet. Believe me when I say this helmet isn't just for show. Professional riders such as Ryan Dungey, Chad Reed, and Ken Roczen have all worn the V4 along with several others. The V4 comes available in three different and distinct styles: Fox V4 Rockstar, Fox V4 Flight, and Fox V4 Future. 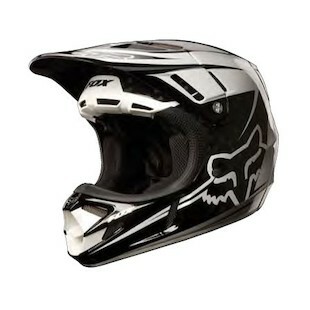 Be sure to check out comparable choices in our Motocross Helmets section.